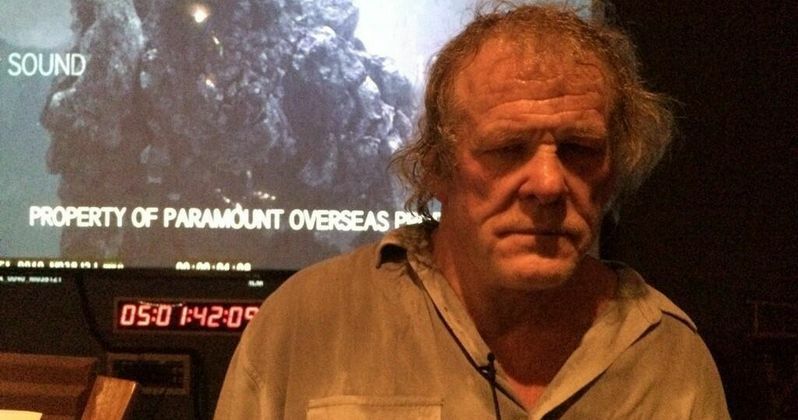 Director Darren Aronofsky announced on his Twitter account today that Nick Nolte has signed on to replace Mark Margolis as Watcher Samyaza in Noah. The "nephilim" that Darren Aronofsky refers to in his tweet is taken directly from the Bible, specifically in Genesis 6:4 where they are described as "sons of God" and "daughters of men." Samyaza himself is the leader of the Grigori, a.k.a. Watchers, a group of angels who were consumed by lust for mortal women and became fallen angels. Other interpretations of the Bible liken the nephilim to giants, which would explain the large creature seen in the background of Darren Aronofsky's photo. No plot details have been confirmed regarding Samyaza or the nephilim. What's interesting is that, unless the director finds another voice role for him, this will be the first Darren Aronofsky movie that didn't feature Mark Margolis in some acting capacity. He has starred in all of the filmmaker's features, Pi, Requiem for a Dream, The Fountain, The Wrestler and Black Swan.